1001 cartes: Create A Smile Video Hop + Additional Blog Giveaway! 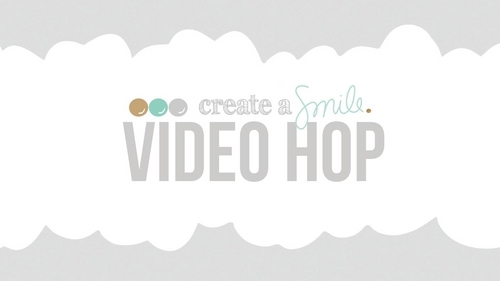 Create A Smile Video Hop + Additional Blog Giveaway! The video hop begins on the Create A Smile blog but if you have been hopping along the blogs, you should have come from Vicky’s blog. Make sure you hop around to all of the blogs featured in the link list below to have more chances to win! Create A Smile is a new stamp company in town. Based in Germany, they design fun and cute, high quality photopolymer stamps and stencils that are intended to make people smile. They bring inspiration to the crafty community through tutorials, videos and by thinking out of the box. You can find their store at www.createasmilestamps.com. If you like my work, it would be so nice if you become a new blog follower or a YouTube subscriber ^_^ ! Various: blending tools, heat gun, glue, 3d foam pads, regular print paper, painter knife, tiny heart, etc. If you join our video hop, you can win a big prize (1 stamp set, 2 stencils and chipboards). Enter the Rafflecopter-Giveaway over at the Create A Smile blog. You have until Tuesday, October 28th to enter, so you have time to hop along all amazing videos. The winner will be announced on the Create A Smile Blog on Webnesday, October 29th. But each hop-member has also a nice prize to give away on his personal blog! There are so many chances to win! Here’s what I’m giving away: YOUR FAVORITE Create A Smile stamp set!!! To have a chance to win this wonderful prize sponsored by Create A Smile leave a comment below and tell me what is your favorite Create A Smile stamp set! Deadline for participation is Thursday, October 30th. I’ll announce one random winner among the best comments on Friday, October 31th. Enjoy the rest of the video & blog hop and don’t forget to leave a comment here to have a chance to win the additional giveaway! My favourite createasmile stamp set is friends in the woods because the animals are cute and so are the sayings. Thanks for the giveaway. It's a beautifully layered simple card with great colors! the stampset is really cute! Such a beautiful card and love the way you did the background, gorgeous!! My favourite stamp set is the latest one with the snowflakes and their sweet little faces for Xmas. Thanks so much for the chance to win!! Waaah, was für eine süße Karte! So eine tolle Idee, den Stencil so zu nutzen! Danke für die Inspiration! Und das Video- und dein Englisch- war super! Your card is wonderful and I just subscribed to your Utube channel. I am so happy to get to know you! I love the smily face snowflake set, makes me happy! Such a cute card. Love how you used the stencil. Très jolie carte... j'aime beaucoup les étoiles qui sortent du chapeau, c'est magique! Je rois que mon set préféré est Cool Buddies. Love card! My favourite is friends in the woods, thanks! Adorable card. The Cool buddies is definitely my favourite set, but I also love the wave stencil you used and the way you used it. I love your card. The stars coming out of the hat is super cute and fun. Although I like penguins, my favorite stamp set is "Smiling Snowflakes". lovely card, I love the idea with the stars and the hat. My favorite set is jungle fever. Wow I am a really big fan of your work and your english was perfect in your video. It was also very nice to see your coloring process because your coloring Always amazes me. So great to see your use of the stencil it's such a cute way to use it. Thank you very much for taking part at the video hop over at create a smile. Such a fabulous card! Love all coloring! My favorite is cool buddies. oh wow- I found your site from Vicky P's blog- and I am so happy I did! I loved watching you create your card and you have inspired me to use embossing paste! Your English was perfect- I truly enjoyed listening to you! Francine, beautiful card. You did a great job on your English video, no misunderstandings at all! Cool Buddies is on my favorites list, so much potential! I like the Jungle Fever stamp set. Your card is adorable! Love the penguin with his hat full of starry winter magic. This card makes me smile! Too cute and fantastic video! My favorite set is Cool Buddies! The animals are so cute! Such an super amazing card..LOVE it! Forgot to say how much I liked your video..super done! Also forgot to say which stamp is my favorite...well the one you used Cool Buddies and also Penquin party..love the stencil you used...and love the background..just love the whole card..I also became a blog follower..look much forward to see what you create next.. Hoping to win one of these CreateaSmile stamp sets. They are just so cute! Your card looks so magical with the Stars streamimg out of the hat! My favorite set is friends in the woods. I love your card and your video is perfect! I love that you just color, without really paying attention to specific color numbers. My favorite stamp set is the Cool Buddies. I could see myself making lots of cards with my grandchildren with that set! Love the cool buddies stamps. They are adorable and I see you have used them in your card. Love it. Smiling Snowflakes is my favorite stamp set. It has so many possibilities and makes me smile along with the snowflakes. Your adorable card makes me want the Cool Buddies set, as well. Such a gorgeous card!! I love the way you've used the stencil and your coloring is amazing! Thanks for sharing!! P.S. I already follow you! Sorry, forgot to tell you that my fave Create a Smile stamp set is the only one I own..."Penguin Party"!! LOL! Very cute card, thanks for the great video. I love those little critters in that stamp set. Adorable card! Thanks for the Video! What a fun card! Love the stars coming out of the snowmans hat! Hard to pick a favorite set but your view and friends in the woods are at the top of my list! Smiling snowflakes are my favorite. Great card! My favourite stamp set is Cool Buddies, thanks for the chance to win! This card is so cute! I love what you did with the had and stars! Too cute! My favorite stamp set Your View with the cute window! Great video, thank you. So far, cool buddies is my favorite. I love your card. Such a cute idea in the way the penguin is holding his hat! Smiliing snowflakes is my favorite so far. I like the cool buddies stamp set :) the snowman with the big head is adorable! Loved the penguin card. Wonderful tutorial on shading! Loved your card! Your explanation was very clear and helpful. Thanks. This card is absolutely magical!!! I love it! And your video was fantastic!!! Thank you for the inspiration! My favorite Create A Smile stamp set is Cool Buddies! So cute!!! I LOVE the COOL Buddies stamp set!! Such a gorgeous card and beautifully made! Bravo! Your English is better than mine...and I am English!!!! That penguin stamp has to be my fav but the stencils are superbe too! What a beautiful card. I love all kinds of penguins, so I think I nede to have the Cool Bodies stamp set. That's a beautiful card. I love the little penguin and the stars coming out of his hat. Too cute! I love stencils & finding new ways to use them. It's too difficult to choose a favorite stamp. They are all so cute! I hope I am doing this correctly because unlike you I only speak English..... great card.... clever....loved it. thank you for it. I love the set with the parachute penguin. This is so cute! I love the stars coming out! Oh btw love the cool buddies! Great card! I love the stamp set Snowflake Smiles. Cute card! I like the penguin party stamp set and the star stencil! What an adorable card. Love the Penquins and you're beautiful background. My favoutite set would be " Your View " Oh my goodness it's so sweet. Great card! It is a hard choice between Cool Buddies and friends in the woods for my favorite. I don't know if I can choose! Awesome first video! You look like a natural talent. The card was so cute - very clever! Your card is just as adorable as can be you truly came up with one ever so clever idea for the stars to be caught in the penguins hat How cute!! Your Penguin is just so stinkin' cute I too love your whole scene you did a fabulous incredible creative job. I have to say your English is awesome I understood you perfectly anyways never worry about this....there are lots of people here in America who only speak English and don't do a very good job at that (LOL) Girl you know YOU SO ROCK!! There are so many wonderful stamps. It is hard to choose just one. But I think I really like the jungle fever stamp set. Cool buddies is my favorite those penguins are adorable. Sweet card you have created. What a beautiful card. Beautiful work. Love you're background and the sweet penquin. I just subscribed to you're You Tube channel (499faith) and to you're blog. Thank you for sharing you're lovely work. My favourite stamp set is YOUR VIEW. How so sweet. Your card is absolutely adorable, Francine! Thank you so much for being part of the hop...I really enjoyed your video! Love the card and I woud say wave of stars. Really cute card! You did a great job on the video. Love your card. Great job with your first English video! Francine, you made a beautiful card, and I enjoyed listening to your lovely voice. I have subscribed to your you tube channel and blog. My favorite set is the cool buddies...so many uses holidays and winter cards. Adorable card! Love the penguin holding the hat instead of wearing it, as if he's tipping his hat to someone passing by. Very cute! Love your card! My favorite is the smiling snowflakes stamp set! But they are all so cute it's hard to pick just one set!! I love the cool buddies set - great looking card! Loved your card! My favorite set is the Penguin Party set, so much fun! Adorable card!! I love the wave of stars coming out of his top hat...so cute! I have to say Cool Buddies is my favorite set and I love how they have several sizes of the buddies! I really love Penguin Party. Those penguins are so cute. Loved your video and your English was great! Patricia R.
Your card is so cute! I love all the sets I have seen so far but would have to say my absolute favourite is Friends in the Woods. The beaver has won my heart and as a Canadian I have to have him! Your card is fabulous! I just love your coloring. How inventive to have the stars coming out of that hat! My favorite set would be the Cool Buddies. Thanks for the chance to win! Love the card you made! That star stencil is fantastic! My favorite stamp from Create a Stamp is the Cool Buddies one, because I really love the font they use for the sentiments in that set. I LOVE Penguin Party! So cute! Love your card! Fabulous card! I love this Cool Buddies set and after looking at the Create a Smile shop I also like the Smiling Snowflakes and Your View. Thanks for the fab video. Beautiful card, love the stars coming out of the hat! What a fun card idea. I'm really liking the stamp set you used in this video. So many adorable images. Love your card. That little penguin is just too cute. You did an excellent job on the video. Thanks for sharing and for the chance to win. Right now, I'm loving the Cool Buddies stamp set. Love this card! The cool buddies stamp set is awesome! Really like your use of the the stencil and background! Francine, I loved video and your card. You are very creative. Thanks for sharing. As for the additional blog giveaway, I love the Smiling Snowflakes from this release, and from earlier releases, I love the set with the Camelon, Jungle Fevor. I love this new to me company! such a cute card! i am always looking for boy stamps so my favorite is whimsical wheels! I love all the create a smile stamps! I like the Friends in the Woods stamp set. Jungle Fever is cute, too. I love the card! I really loved the stars! It was very cute. Loved the card! The stars were my favorite. Love the stencil and how you colored the penquin. so cute. Your video was wonderful. I love the Whimsical Wheels stamp set. Darling card -- darling stamp set. Love the stencil work! I'm loving the cool buddies you are using! I enjoyed finding a new stamp company with adorable images. I loved your card and will be sure to follow you. My fingers are crossed that I win the prize! My favorite stamp set is the one you used. I really liked the star stencil also. The card you created was my favorite. I love this card. And it is also my favorite set. I think it's called cool buddies. I really like the way you had the stars going into the hat. A realy great card, and I live the set with the penguins, too. I love the cool buddies stamp. Your card is so adorable. This is so cute and creative! I love how you have used the Distress Inks - GREAT job! Your English is beautiful. Thanks for doing the video your English is excellent and I did not have any problem understanding you at all! Please make more! Lovely card, thanks for the video. Oh and my favourite stamp set just has to be this cute penguin one!! Love your card! That stencil is great! I am not familiar with Create a Smile, but I like the Penguins and snowflakes. Cool Buddies is a really sweet set! I love the stars stencil too and your card is wonderful! Thanks so much for the chance to win! Such an adorable card! Thanks for sharing your techniques with us. Such an adorable card! I love the embossed stars! What a cute card. Thanks for sharing your video! Adorable card! I love how you made the stars going into the hat, very cute. And you did a beautiful job with the English, thanks for speaking English as I don't speak any other languages. Great video! TFS! Great job on your first video in English! Your card is vey creative and used lots of techniques. I am glad that you were part of this hop because now I can follow you on YouTube! Love this darling card!! Very sweet! Cute Cool Buddies stamp set, my favorite so far! What a great card. Your first English video was a blessing to me. I really enjoyed the card and the video. Cool Buddies is my fav! But any of the critters stamps are awesome! Your card is incredible, thanks for a great video! AWESOME card - I love how the stars flow out of the hat . . . or are they coming out? SO DARN CUTE! My favourite stamp set is friend in the woods. It is adorable. My favourite stamp set is Cool Buddies and your blog is fantastic! Love this card, cute! Thank you for sharing! I am a new subscriber to your you tube channel! Fabulous card! Love the ray of stars falling into the hat, very creative! My favorite stamp set is the cool buddies (love the penguins)! Super cute!! From the new release I love cool buddies, but I've been wishing for that Jungle Fever set for awhile! Oh I love your card is so sweet and funny, and my favorite set is The Cool buddies. Adorable card and so creative with the stars coming out of his hat! My fav. stamp so far is Cool Buddies. Cool buddies and friends in the woods are my favorites! Please don't make me pick just one! Your card is adorable! What a wonderful card! I love how you used this stencil -- I am a big fan of stars! I can't decide if the penguin is catching stars in his hat or releasing them, but either way, it's a cute idea! I love the Smiling Snowflakes. I love the "Your View" Stamp set, but love what you did with Cool Buddies! Margie Malone,MargieHMalone@aol.com\Your card was terrific!I love penguins too. Such a cute card, thanks for sharing. 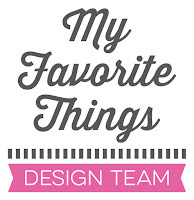 My favorite stamp set is the one you are using, thanks for the giveaway, I'd love to win! I love what you did with your card, very creative. I think my favorite stamp set has to be cool buddies! love your card! awesome coloring and a darling penguin! Cool Buddies is my favorite set! A sweet card, love the penguin set so much! Great card! I really love the Cool Buddies set. Love those penguins! Really love your card! And great job with your first video in English too. I love the Cool Buddies stamp set a lot! I think my favourite set is very likely the Cool Buddies. I will be ordering it today and I am sure I will love creating with it. Your card is lovely and great inspiration for me to do my own cards using this fun new stamp set. Love penguins and this card is sooo cute! What a nice card! So inspiring! Francine your card is adorable I love this fun design. I think your English is great. I know people who don't speak as well and English is their first language. My favourite create a smile stamp set is 'your view" it looks like so much fun to create a scene. The cool buddies stamp set is my favorite. I like the winter theme. My favourite is the cool buddies stamp set, i love the winter theme. Oh, Francine, congratulations on your first video in English! It was wonderful to hear your sweet voice, and it was perfect! I love this darling card, and it was fun to learn how you create. I had to giggle a bit, because I color the same with a small piece of card stock on the side to test and sample colors first, and I also color the edges too. I love this darling set, and you've used it so beautifully with this little penguin and hat and the stars! How beautiful! Hugs, sweet friend, and thank you! I like penguins, my favorite stamp set is "Smiling Snowflakes". TFS. Love your video! My favorite stamp set is Cool buddies! I love the smiling snowfalkes stamp set!love ur card! Awesomeness in a card... Great job!!! Love all the stamps, they are so cute. Your coloring is fab as always! I really love the stars and you did a great job with your first english video! A great job on the video, and your English is a lot better than some people who's first language IS English. Your card is just adorable as is the penguin. I have only just heard of Create A Smile so as yet have no favourite but waiting to see what other cute and adorable stamp sets etc they have. Thank you for sharing your card. Gotta love penguins! And I loved how u used the stencil. So cute! Great card -- thank for the giveaway! Very cute card--love how you created the stars with paste. I agree with having his hat in his hand; it adds to the fun in the card. I really liked the card with the rainbow. Thanks for sharing both cards. I think my favorite stamp set is the Smiling Snowflakes with Cool Buddies a close 2nd. My daughter and son-in-law would love the sentiments stamps to use for cards to their friends in Germany. Fabulous card and video!! Love the stars!!! You did a great job with the video...it didn't seem like your first one in English! I'm glad I found your blog and your YouTube channel...I will follow both...:) My favorite stamp set is the Smiling Snowflakes set...it's so cute! adorable card - love the col buddies stamp set and so bummed that it's sold out! This looks amazing:) I love the inking ! and the magic of this card ! My favourite stamp set is the one you have used, Cool Buddies. The characters are sooo cute. Hey Francine!! I love, love your card and video. Your did an amazing job on this card. So pretty.